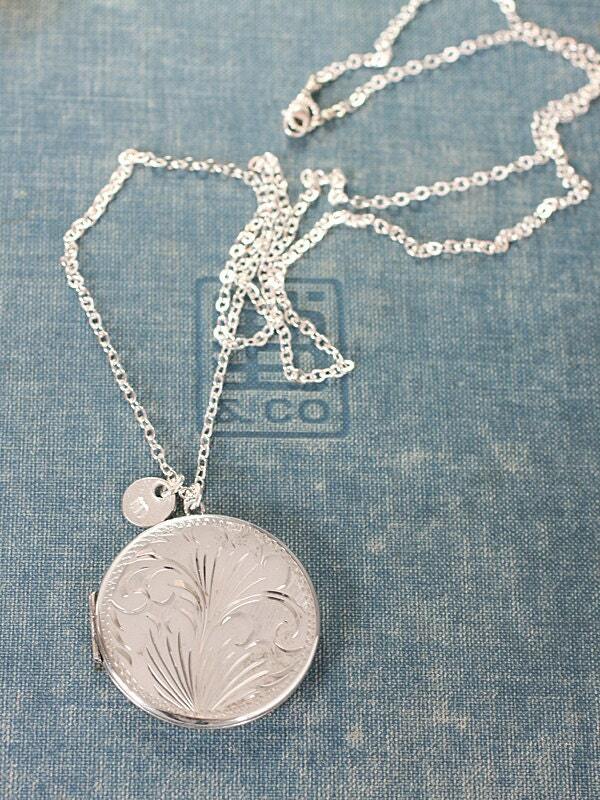 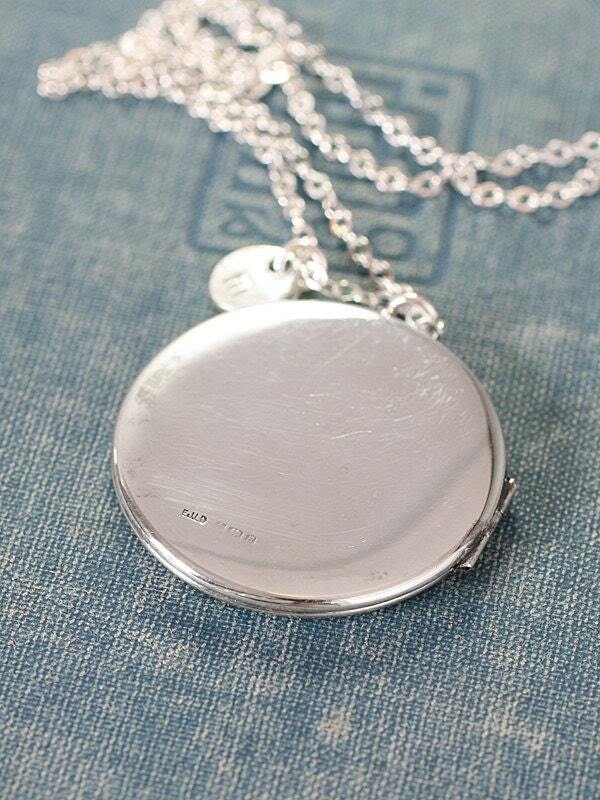 A beautiful vintage sterling silver locket is engraved with a sweeping vine like design. 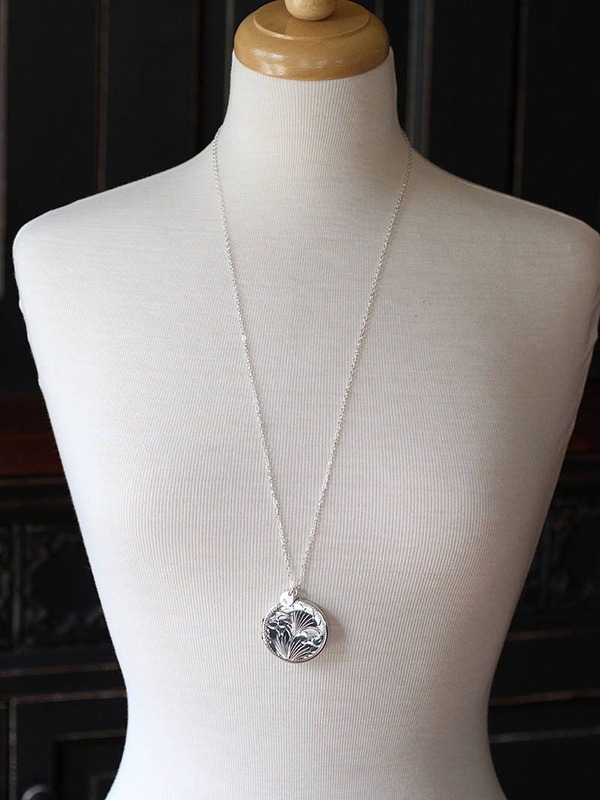 The thin vintage round pendant can optionally be paired with an artisan circle charm ready to be stamped with the initial or design of your choice. 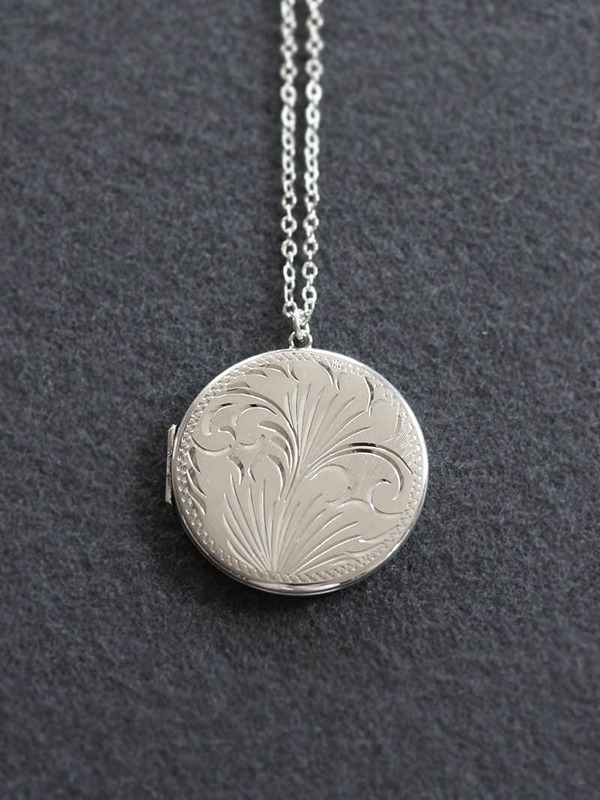 The locket opens to reveal two places ready for beloved photographs to be placed inside and dangles on a new sterling silver chain hand finished with a lobster clasp and ring. 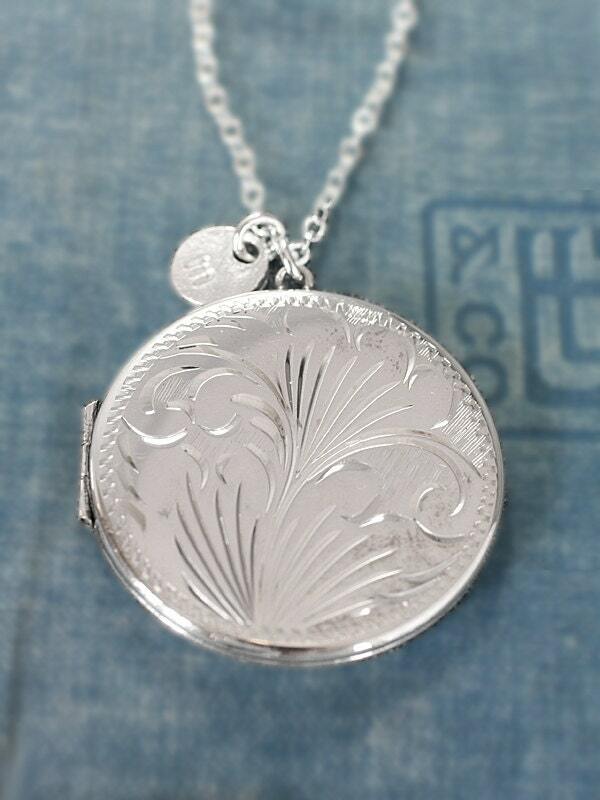 All vintage lockets are authentic fine estate jewelry pieces. 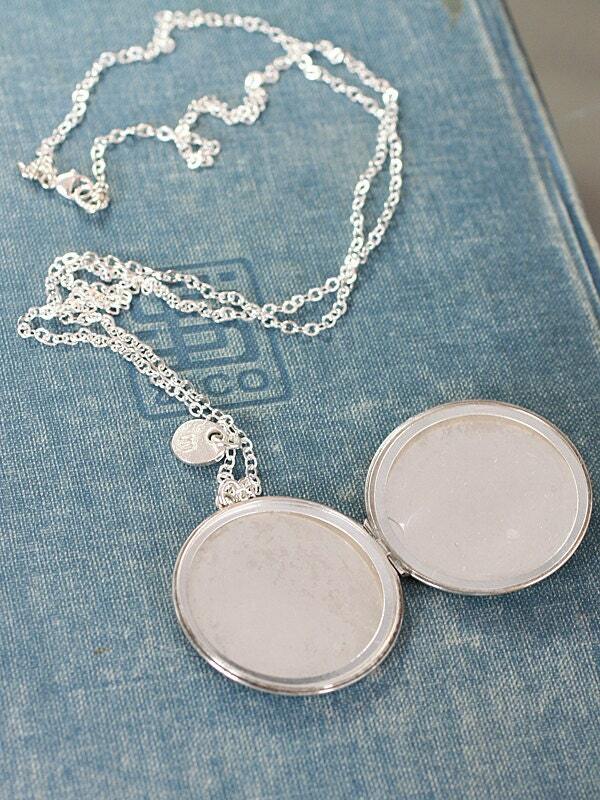 All T for Edgar necklace chains are new and hand finished by me.